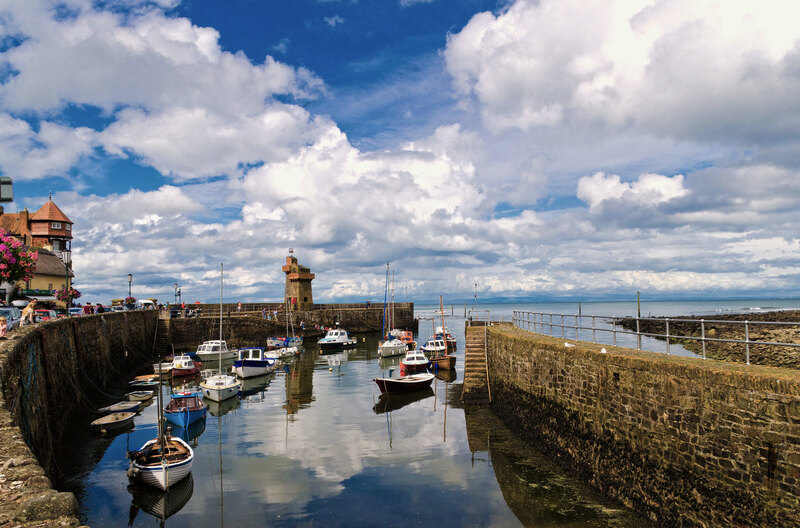 The pretty little harbour of Lynmouth sits at the mouth of the West Lyn river which is the confluence of two rivers; the East Lyn and the Hoaroak. The town is at the foot of a deep wooded valley on the edge of Exmoor with the stunning scenery here sometimes referred to as "England's Little Switzerland". On the quay at the end of the harbour is the Rhenish Tower. This was built in the 1860s to store saltwater for indoor baths but later fitted with a light to act as a beacon. It was badly damaged in the devastating floods of 1952 but rebuilt to its original form.